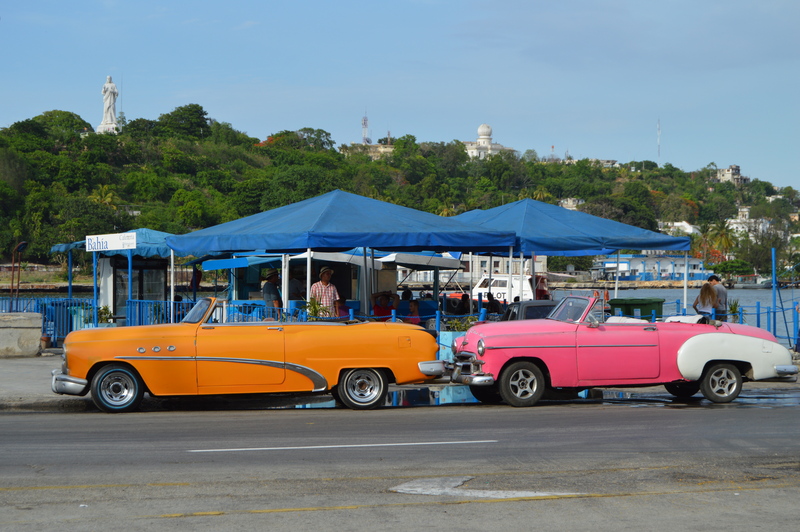 Cuba, a country once referred to as the “Pearl of the Caribbean,” has a culture as vibrant as the colors of its 50s style cars and a passion as strong as its coffee. Recently, PPRA held a luncheon at Cuba Libre to discuss the restored relations between Cuba and the U.S. and what that means for both the communications and tourism industries. After devouring the delicious food made by chef Guillermo Pernot, a panel discussion was held with four speakers: Bill Lezzi, a former journalist of the Philadelphia Inquirer who has visited Cuba 65 times, Brian Said, Executive Director of Tourism, Chef Guillermo, who studied Cuban cuisine and has visited Cuba several times, and myself. Former PPRA president and Hall of Famer, Dan Circucci, served as the moderator. During the panel, a series of questions were asked involving the Castro regime, day-to-day life of Cubans, the impact of communism, food and what we believe will be the future of Cuba. It was a lively discussion followed by tasty desserts. Although the panel discussion was insightful and in-depth, I want to dive a little deeper into the topics that were discussed. Rewind to three months ago. It was ten days after graduating from college, I found myself on plane bound for Havana, Cuba. I had no idea what to expect when I landed at the Jose Marti airport. I was accompanied by six college-aged students I barely knew. The only thing I knew about Cuba was what I learned in my 11th grade history class. I did not speak Spanish and had never eaten Cuban food. I did not know what the living conditions would be like or what I would be doing for six weeks. All I knew was that I was in for the adventure of a lifetime and, in the end, it proved to be nothing short of that. 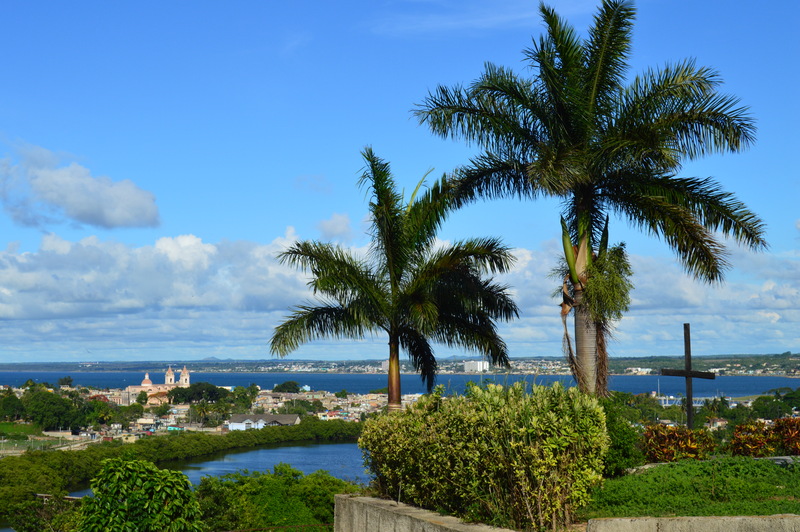 First and foremost, Cuba is poor economically, but in every other way, it is very rich. Cubans do not have all of the luxuries that we do in America. They follow a ration system in which an individual receives 5 pounds of rice and beans and other miscellaneous food items per month. Several Cubans suffer from gastrointestinal issues due to unsafe drinking water. Prescriptions are hard to come by. Old strips of newspaper are used for toilet paper. I spent half of my time in Cuba showering with a bucket. It was a luxury to stay in a room with a flushing toilet. Yes, these living conditions are tough, but there are so many other aspects of Cuban life that exhibit a greater sense of wealth. Cuban families, friends and neighbors spend a great deal of time together. They do not go home at night and binge watch Netflix. While I lived in the town of Los Arabos, a group of guys would pick up a guitar and congos and spend the night playing music while everyone else danced. Often times, I witnessed the “abuelas” care for and cook dinner for the neighborhood kids. At youth events, the kids did not bury their faces in iPhones. They were 100% present. Additionally, daily life is much more slow-paced than America. Cubans will sit and talk to someone after a meal for hours instead of racing to an afternoon of errands. In turn, they build genuine relationships and enjoy the moment. Another thing to note, the internet is not accessible in many parts of the country. Up until recently, it was illegal for Cubans to have internet in their homes. Internet access could only be found at places such as universities. When I wanted to send an email to my parents while I was away, I had to find the nearest “Cuba Cell,” a communications center in which Cubans can go online or make phone calls. What seemed a simple enough plan slowly turned into an all-afternoon event. I waited in line outside of the building (in the 90 degree Cuban heat!) for over an hour only to wait in a line again to buy an internet card. This card is the key to getting online. It costs three pesos and gives the user 30 minutes of internet usage. Once my thirty minutes were up, the computer shut down, regardless of whether I was finished my conversation. This is what Cubans have to do every single time they want to check their emails or talk to family members who live abroad. Lastly, don’t expect to see rum and cigars at American stores anytime soon. Throughout my trip, I spoke with members of Parliament who believe that it could be another two to three years until the embargo is lifted. There are still so many discussions and decisions to be made between these two countries. Not only that, but the current state of Cuba cannot support the influx of tourists expected to race into the country. There is not enough space to house everyone. More hotels and apartments need to be built first. In regards to the anticipated “American Invasion,” Cubans do not need nor do they want a Starbucks on every corner or a Rite Aid down the street. Lauren Bentley is a recent graduate of Temple University with degrees in public relations and Advertising. She spent her summer doing service and mission work throughout Cuba while also enjoying the country’s beauty. In her free time, Lauren enjoys reading on the beach, cooking, watching old episodes of Friends and doing community service. This entry was posted in Events and tagged Cuba, Culture, Events, Greater Philadelphia, History, Panel, Philly, Politics, PPRA, United States by pprablog. Bookmark the permalink.